Design that is meant to unite cultures. With the state of current affairs, the designers of the collective ISTANBUL?DAN wanted to oppose hostility and xenophobia through artistic ways. They banded together to create products that are more than just products? they are also stories. Headed to the historic Sishane and Galata neighborhoods of Istanbul, the designers worked together with local artisans and makers to interpret the history of the city through design. They work in a tightly woven group to create objects, not letting any cultural or linguistic barriers stop them. Together, they act as messengers between opposing cultures to pay homage to Istanbul. 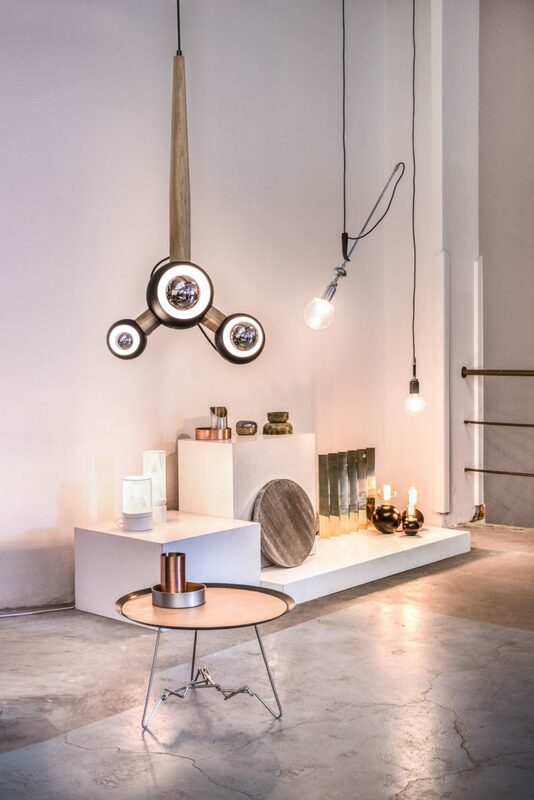 Designer Jonathan Radetz created AYNA, which is a set of atypical mirrors. Rather than accurately reflecting what’s in front of them, they distort or multiply the object, reminding us that it’s important to consciously widen your perspective and have multiple points of views. SEPET, by Florian Saul, is a delicate bowl-like object that combined the art of lamp making and the topic of fishing which is essential to the Bosphorus region. It’s shape is reminiscent of a flexible fishing net, and molds to fit whatever is put in it. CALYX is a table lamp by Dorothee Mainka, which was inspired by old school oil lamps. It has a translucent metal mesh that forms the shade, which creates unique shadows when the lamp is on.